It is ironic that the State Flag of the Commonwealth of Kentucky reads, “United We Stand, Divided We Fall.” Families are being divided. Kentucky is falling apart. It’s time for families in Kentucky (and all across America) to wake up and demand that the corruption of CPS be investigated and criminal social workers be prosecuted. It’s time to stop CPS from stealing our children and selling them to foster families for federal funds. It’s time to demand that our local sheriffs and law enforcement stop being the strong arm of CPS. It’s time to require that law enforcement follow the Constitution regarding criminal allegations of abuse and neglect, and that Due Process be followed, and to stop treating allegations made against parents as “guilty until proven innocent.” The following stories reveal corruption, scandals, lies, and money that even Hollywood couldn’t make up. 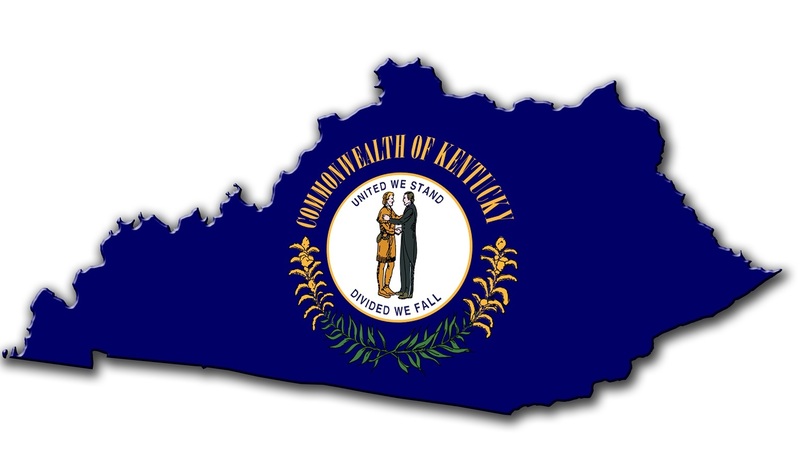 Admin said: > It is ironic that the State Flag of the Commonwealth of Kentucky reads, “United We Stand, Divided We Fall.” Families are being divided. Kentucky is falling apart. > > It’s time for families in Kentucky (and all across America) to wake up and demand that the corruption of CPS be investigated and criminal social workers be prosecuted. It’s time to stop CPS from stealing our children and selling them to foster families for federal funds. It’s time to demand that our local sheriffs and law enforcement stop being the strong arm of CPS. It’s time to require that law enforcement follow the Constitution regarding criminal allegations of abuse and neglect, and that Due Process be followed, and to stop treating allegations made against parents as “guilty until proven innocent.” > > The following stories reveal corruption, scandals, lies, and money that even Hollywood couldn’t make up. As a grandmother and former sw i know ky is not folloeing the law. We have been dealing with ky cps for 2 yrs. The judge hates my son and threatens to temove his children. They dont have any charges against him and if u contact the ombudsman they dont invedtgate but use any onfo to obtain the children. In the case of my grandchildren my son removd the child to keep the mom from killing the child but cps decided mlm should have the baby. They then had to remove my son so baby could be sold so made up charges to put him in jail. He has both children but now cps days theres a baby we dont know aby but wait this child looks totaally wrong because my son is native amdrican and all his children look like him. Thiz blonde headed child could not be his and the judge that gave his childten back to him has decidedy som needs to be reinvestgated. We know the trsfficking goes alot higher than the county cps ofc. Ky is one of the poorest states. But in our case they det up court dates eithout his attorney. The workers get fired for being caught sleeping with the foster parents and mow the threat se want the kids back. One was an infant but now 2 yrs and brotjer 4 so they r getting too old. I also know that the hospital sw contact county cps becausr in the case of my grandchild she was going to take the baby 11 pm then foumd she was married that put a stop to that but 2 days later she came to the coor. If my son had not let her kn that dau everuthing wpuld probably be ok. The judge hates my son and recused himself then puts himself back on the case to drag it out. Lawsuits need to happen. wait, they tried removing a newborn cause they thought your son's wife wasn't married? Since when is not being married and having a child a danger to the child in question? My name is amanda. I have been involved in a case that had nothing to do with since nov. My sons dad hit my son in the face leaving a big bruise. Thier father ead guilty to assault 4 and has several unsubstantiated abuse and neglect charges involving these children. I have coroperated in everyway possible with cps. I have always had to reach out to them. They never have tried contacting me in anyway and now my kids grandfather filed false allegations towards me and my husband. I have went to the governor's office for help and I have been battling all this emotionally. I have been treated as if I was the one that did this. I have tried to protect my children and for that I have been treated as a criminal. I jave been fighting for my children for the past 6 yrs with this man. He has always told the judge the kids are with him and they arent and the judge became aware of that when their grandmother told her that they jave lived with her for the past 6 yrs. My son is being abused and treated very unfair at his grandparents and doesnt want to be with them. So are these people going to be responsible when my son hurts his self extremely bad because they are making him stay where he doesnt want to. I have informed them on numerous occasions when I was taking my son back to his grandparents he has tried to hurt hisself. This really concerns me. Please help me I am very worried about my kids and I don't know whatelse to do. Are you in KY? If you still frequent the MK site, please join our KY group. I would love for the FBI to Fully investigate the CPS here in Jackson County, WV !! We are loosing our children everyday at the hands of these greedy devils!! I lost my only grand babies on April 29, 2014 to the Corruption, Lies, and Coercing of our county officials. They have been placed in Forced Adoption and we have not been aloud any contact with them!! No proof to any of their allegations were proven! Our proof of corruption was not allowed to be used in our defense to bring our babies home. Note: these babies lived with us 80% of their 4 and 5 years old they were. Never no complaints from anyone. They were both in school. I had documents stating the great care they was in, and Judge would not look at any of it! Just not fair to our family or our innocent babies that have been traumatically torn from us to suffer at the hands of CPS# Thank u and hope we get Justice Soon and our babies back!! Reading all these stories is bad enough and very sad ....but when you have or are living in it, the situation/your life is a complete nightmare! I am not sure what end of the scope we should be working this since I had the unfortunate experience of dealing with CPS from being charged, arrested, and am currently fighting for my girls back! I will say this, Kentucky is the most corrupt state that I have ever dealt with ....from the way they were allowed to issue the warrant based off of what the courts refer to as 'hear-say' (false allegations) which was substantiated evidence for CPS because the medical exam was performed improperly, to the interrogation process with the detective trying to push and pressure me to just say that my husband and I were child molesters (now also keep in mind that these were people that specialized in child abuse cases and should know when they are dealing with parents that are innocent but it is not about that). Now keep in mind had I been weak minded person or maybe had a much lower IQ, or just wanted to get out of jail; these people would have put my husband in prison for the rest of his life and all they needed from me was to just say the word. In other words, I was the state's ticket to sealing their case on my husband and I. Our situation could have turned out in many different ways depending on the legal side of things. There is so much we do not know about that is at play here. From the CPS workers, to the hospitals, to the detectives that work with these kinds of cases, to the money racket in the prison/jail system, the public defenders, the prosecutors being able to close cases, to the judges not knowing all the ways that law enforcement tried persuading ....the whole System is flawed. I can say this because we are innocent and these people do not believe us, they have no evidence just hear-say .....It is my opinion that each has his own agenda and neither parties communicates with the other. Also, it is very alarming that caseworkers are not better trained. I mean where do these workers come from, they sure are a different breed of people. With that note: I have KY to thank for never believing or trusting in our law enforcement again. Innocent people do go to jail and innocent parents can and will be charged for crimes they have not committed .....so you tell me, I will never trust again. I have a similar situation in a sense. I am the non offending parent. My children where removed from my ex's custody due to child abuse allogations. Once i proved paternity of both my children. My son was given to me however cps kept my daughtee in foster care. There reason being that she had an attachment to her 2month old sibling (not her 3 yr old bother). They kept her from me for 6 months. And coaxed the judge into allowing. It toll finally there was no way to keep her from me anymore. Now since this i have had to do home visits each month. So they can try to find me u fit and put them in foster. I want to add i have no criminal history at all. Great job and my own place. What should i do?? Admin said: > It is ironic that the State Flag of the Commonwealth of Kentucky reads, “United We Stand, Divided We Fall.” Families are being divided. Kentucky is falling apart. > > It’s time for families in Kentucky (and all across America) to wake up and demand that the corruption of CPS be investigated and criminal social workers be prosecuted. It’s time to stop CPS from stealing our children and selling them to foster families for federal funds. It’s time to demand that our local sheriffs and law enforcement stop being the strong arm of CPS. It’s time to require that law enforcement follow the Constitution regarding criminal allegations of abuse and neglect, and that Due Process be followed, and to stop treating allegations made against parents as “guilty until proven innocent.” > > The following stories reveal corruption, scandals, lies, and money that even Hollywood couldn’t make up. I've been trying to expose Calloway County Andrea Nelson and Judge Mattingly for the LONGEST!!! Too much info for a post but I need to get involved!!! If it's said in court the GAL attorney was a foster child and my grandson would be better off with foster family. And judge said oh I don't think you want him. Yeah there is a big problem. Then you have the social worker that told my daughter if she don't sign and give your rights to those foster parents we will take your newborn. After she signed it wasn't long til they took the baby. Now we are losing him if things don't change. Foster mom left another 2 yr old in the vehicle to exchange with us for visiting with my grandson. Not once but twice. I pray it works out so I can get my grandson. But if it don't I'm going to the streets. That's what we all need to do. Hand out flyers put up signs like I see everywhere foster parents needed. Crazy messed up system. Children for sale, go to your social service office is what it needs to say. Instead we need to put up. Quit with forced adoptions through cps and family courts everywhere we can. May God help us all. No one will listen until something bad happens. We have covered the work of Nancy Schaefer on this site: Senator Nancy Schaefer: Did her Fight Against CPS Child Kidnapping Cause her Murder?